Car rental is trending slowly but steadily. There was this time when everyone wanted to own a car. As the time is developing the trend is shifting from owning a car to renting a car. Another point worth noting is car renting is also an integral part of holiday tours. When you pack for holidays, you don’t pack for your vehicle. You rent it. This trend has given a huge hike to the car rental companies and now it is one of the most successful business models. As online presence is important when it comes to business. Car rental companies have also gone online. It can be a good idea to use WordPress development for building a website that can provide you a rented car. In this article, I will give you quick information about the revenue intake of car rental companies, User types, feature for those user types and general features of a car rental WordPress website. In addition to that, I will also provide you some WordPress plugins that will help you to develop such features in your own WordPress website. 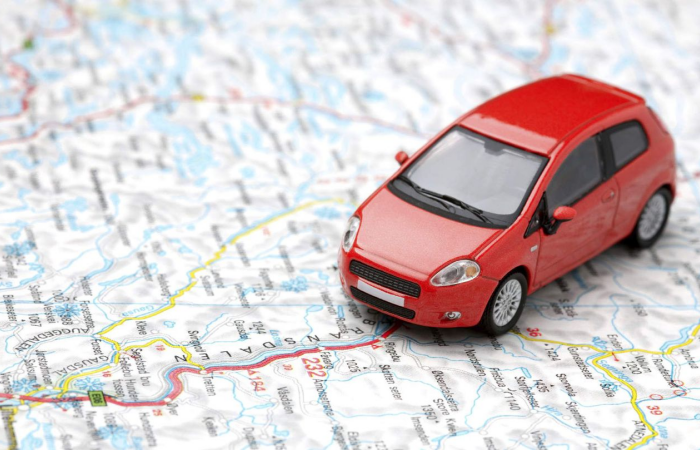 There are ways you can actually generate revenue through car rental portal. The first one operates as a bridge between a car renter and car owner. This one’s known as Peer to Peer. However, there are some companies which have their own cars and they use them directly to suffice needs of a car renter. These companies charge a nominal booking amount as a commission to provide renter to the owner. 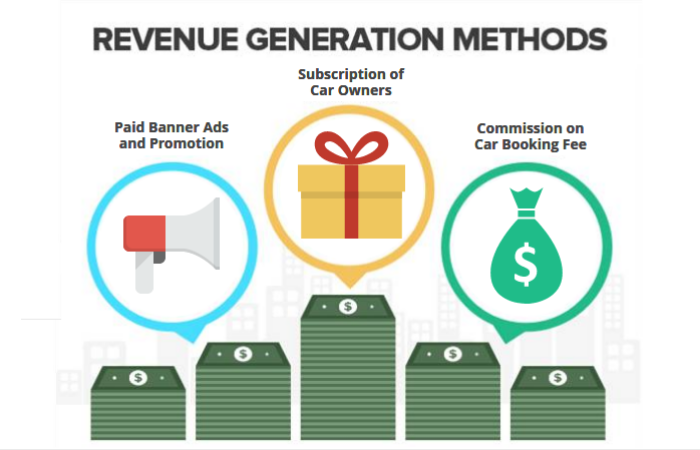 This is the second highest amount which generates the revenue for the Car rental websites. This is the highest source of revenue. Advertising different brands on your car are the best way to earn regular revenue. In addition to that, a much-confined company can also charge a car owner to promote his vehicle in their listing. This is also a very effective way of generating revenue. Companies like Zipcar charge the car owners with a small subscription charge for GPS tracker to track the car for safety purposes. Also, car owners can opt for safety locks and other safety features by paying a nominal amount to be on the safer side. Expand your business with a Revenue generating WordPress website! Click here for a FREE quote! These are the potential customers of the company. They are those users who are looking for rental cars. They search for the cars as per their requirements and take a car for rent after making some necessary documentations and payments. This is the user type on the behalf of the WordPress website possibly you. A website administrator has the complete control over the website. This includes the content management to the listing management. If your company has a peer to peer service, then you need this section as well. When a car renter books a car, the car owner is notified and he also receives the payment as per your payment protocol. 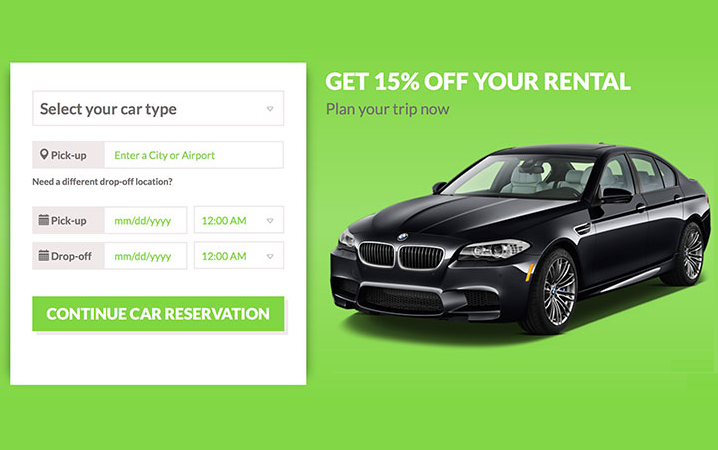 Now, let’s move to the Feature part of a WordPress Car Rental Website. Want a Custom designed WordPress for your Start up business? Let’s build it for you. Detailed Description of the Car. 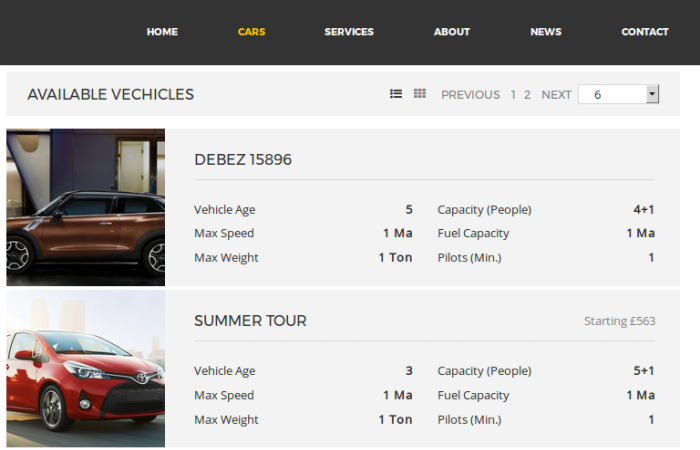 You also must have good car booking facility on the car page. As I said above, it is important for a WordPress car renting website to provide easy booking option to its user. Booking is the heart of your website and you don’t want to spoil your business with such a silly mistake. So, make your interface crisp and easy. Do not doodle with too much of design. Keep it simple. WordPress is an ideal tool for making your website quite elegant and easy to use. For booking, you can use any custom form with fields like the name; age; license number; estimated boarding date and a number of days required. That’s it. Do not overwhelm your user with a long booking form. As I said, keep it short and simple. Smush Image Compression and Optimization. These plugins will come in handy in order to add a pinch of authenticity to your website along with ownership. Present your business online with a Secure and Robust WordPress website. Hire us to build a traffic generated website! Regardless of how clear your website is, your customers are bound to have some queries. This is where a FAQ section comes in handy. Addressing all the common queries that might arise from the customer’s point of view and providing satisfactory answers to the same clears up the confusion if any. Vague or misleading answers should be avoided here. An additional option is to provide a quick response system which lets users submit a query and receive a response in a short time frame. 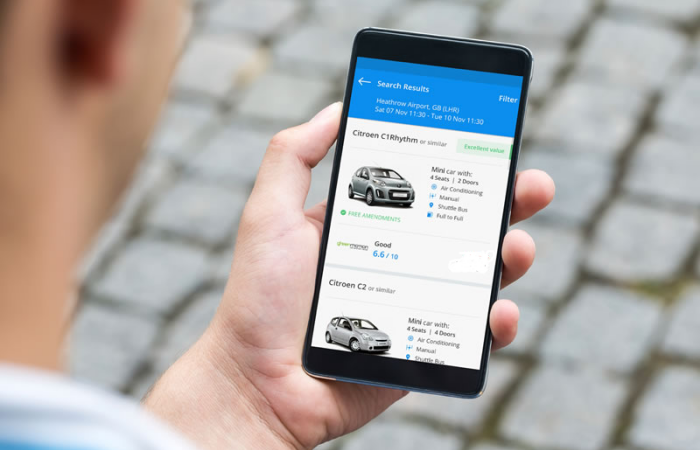 These are some of the features a car rental website requires, from the consumer’s or user’s point of view. The administration side of the website needs to be equally robust to handle the logistics and service requirements of the website. Keeping track of the inventory of cars is necessary to ensure that the availabilities are updated on the bookings calendar accordingly. 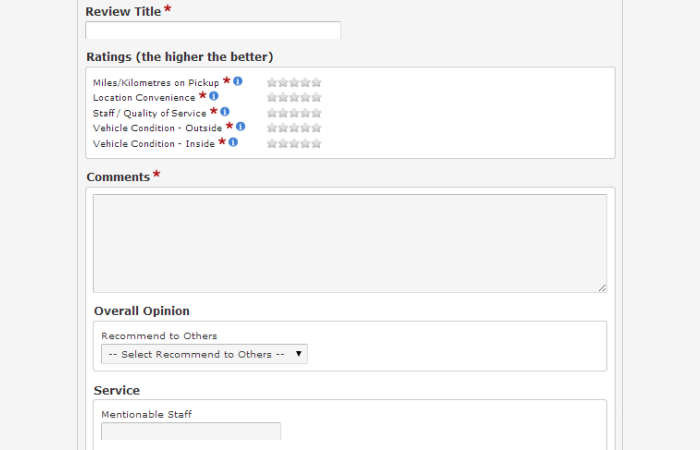 Real-time inventory updates help prevent overlapping of bookings and by extension, irritated customers! 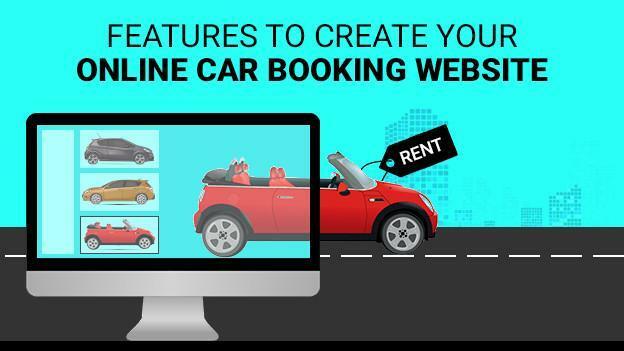 This makes it a strong core tool while creating a car rental website. So, as you see all the above are the functionality you must have on your website in order to achieve the success you want. Do not miss any of these functionalities or you might lose a lot of customers and potential customers. Let’s have a quick recap of what functionality you need to keep in your WordPress car rental website. Make user dashboard of your WordPress website functional. You must provide him some filters to refine his search. Make sure you have entered every specification of a car to judge. It is important for a WordPress car renting website to provide easy booking option to its user. Make your WordPress website mobile responsive. Make use of user’s testimonials and feedbacks to make your WordPress car rental website more genuine. You need to add a fast, seamless and secure method of payment. Address all the common queries that might arise from the customer’s point of view and provide satisfactory answers to the same and clear up the confusion. Keeping track of the inventory of cars is necessary to ensure that the availabilities are updated on the bookings calendar accordingly. I hope you like this article. Please share it to spread the word. Have a great day ahead.